Whether it’s your first or 50th pair of contact lenses, always care for them properly. This blog post from Downtown Eyes provides easy-to-follow tips on how to properly care for, maintain and store your contacts. Wash your hands before handling your contact lenses, whether you’re inserting them or removing them. This helps reduce the risk of hand-eye transmission of germs. Disinfect your contacts as often as needed and never let them dry out. Only clean your contact lenses using the specially formulated solution provided by your eye care center. If you have sensitive eyes, you may consult the top rated eye doctor in the area for contact lens solution recommendations. Most eye care boutiques offer a free contacts case with each purchase. Always store your contact lenses in a proper and clean container. When storing your contact lenses, close the cap tightly so the lens solution doesn’t dry out. This also helps fend off bacteria. Store your contact lenses in a cool, dry place. Replace the contact solution every day to avoid any product buildup. Do not, under any circumstances, wear your contacts longer than the recommended period. You can end up damaging or scratching your cornea if you leave your contact lenses in for too long. Replace your lenses as instructed on the packaging. 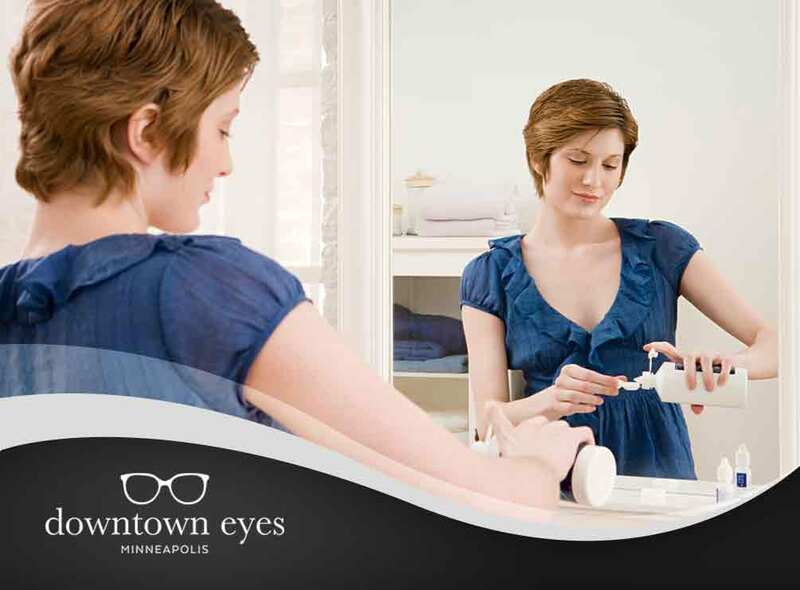 Downtown Eyes offer a wide array of contact lenses for your every need. We also offer a large selection of designer eyeglasses. For more information about our corrective eyewear options or to learn about the expert eye care services we provide, you may contact us at (612) 333-3937. We work with patients in Minneapolis, MN.